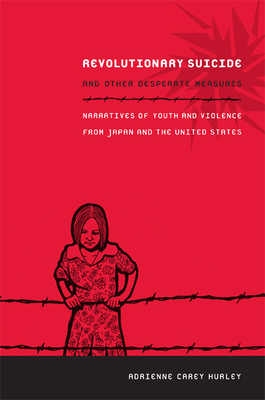 In Revolutionary Suicide and Other Desperate Measures, Adrienne Carey Hurley examines how child abuse and youth violence are understood, manufactured, and represented, but still disavowed, in Japan and the United States. Through analysis of autobiographical fiction, journalism, film, and clinical case studies, she charts a culture of child abuse extending from the home to the classroom, the marketplace, and the streets in both countries. Hurley served as a court-appointed special advocate for abused children, and she brings that perspective to bear as she interprets texts. Undertaking close reading as a form of advocacy, she exposes how late-capitalist societies abuse and exploit youth, while at the same time blaming them for their own vulnerability and violence. She objects to rote designations of youth violence as inexplicable, arguing that such formulaic responses forestall understanding and intervention. Hurley foregrounds theories of youth violence that locate its origins in childhood trauma, considers what happens when young people are denied opportunities to develop a political analysis to explain their rage, and explores how the chance to engage in such an analysis affects the occurrence and meaning of youth violence. Adrienne Carey Hurley is Assistant Professor of East Asian Studies at McGill University.